This is one of the first photos I took when I started laying out blocks. And this is what it has grown into. It finishes at about 72 x 76"
Not bad for a bunch of random blocks. I have almost finished piecing a back for it and then I am going to enlist some help and get this baby layered up and ready to quilt. I'm actually going to have a go at quilting it one myself. If all goes to plan the first stitched might go in this weekend. 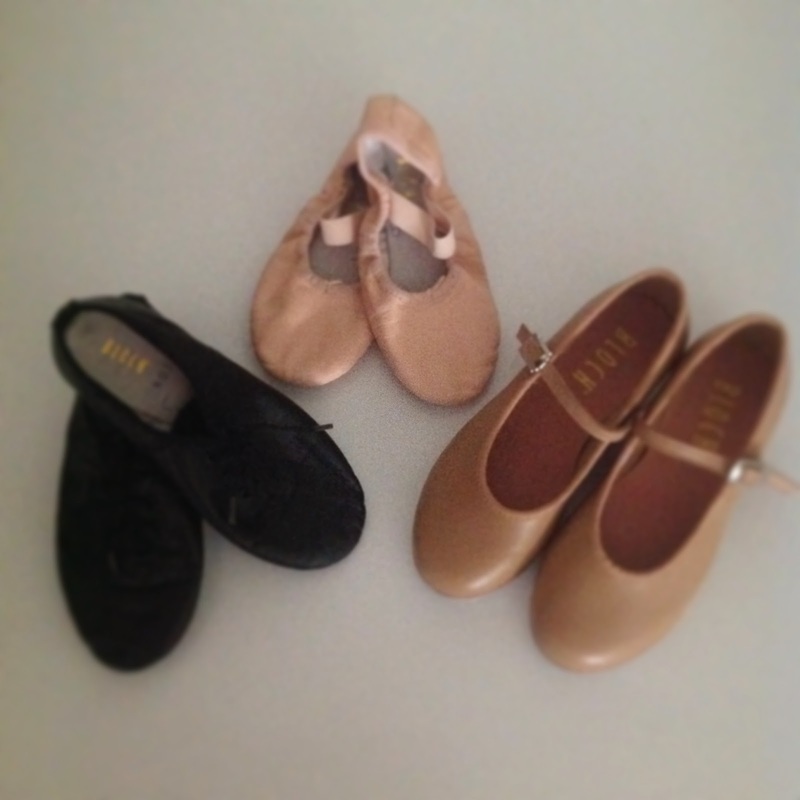 How do you really know when your a dance mum? Our baby girl definitely has a passion for dance. This is an awesome quilt - I hope Camille see's it! Yes, you are dance mum for sure, just wait till there are two lots of those around and then you have to get more 6mths in . I love your quilt, Sharon. Good luck with the quilting. 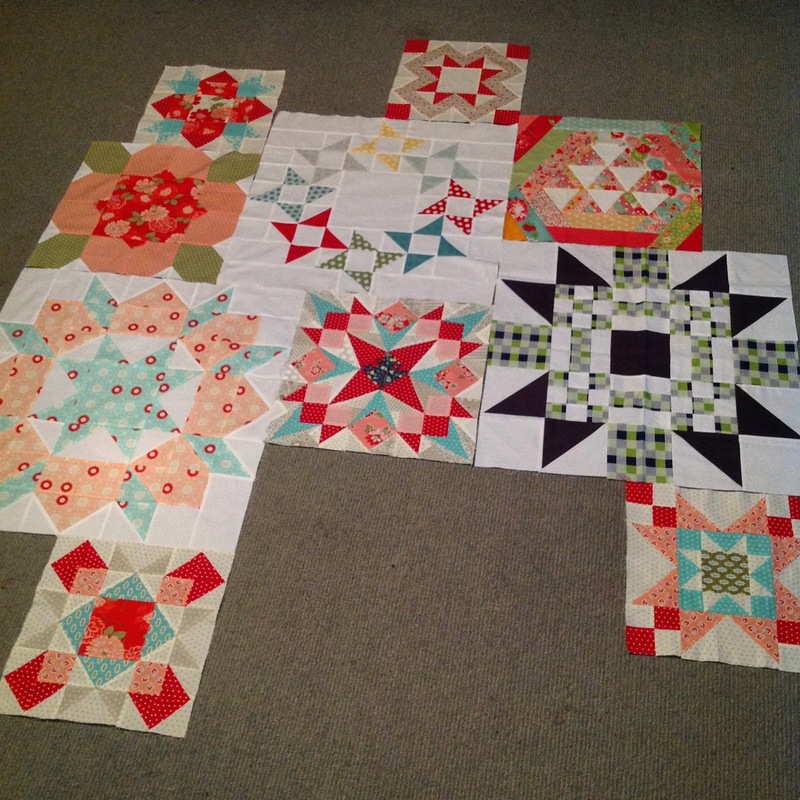 The quilt top is looking great. I do like the addition of the foxes. Looks like you are in for lots of dance concerts in the future! Oh I LOVE it!! 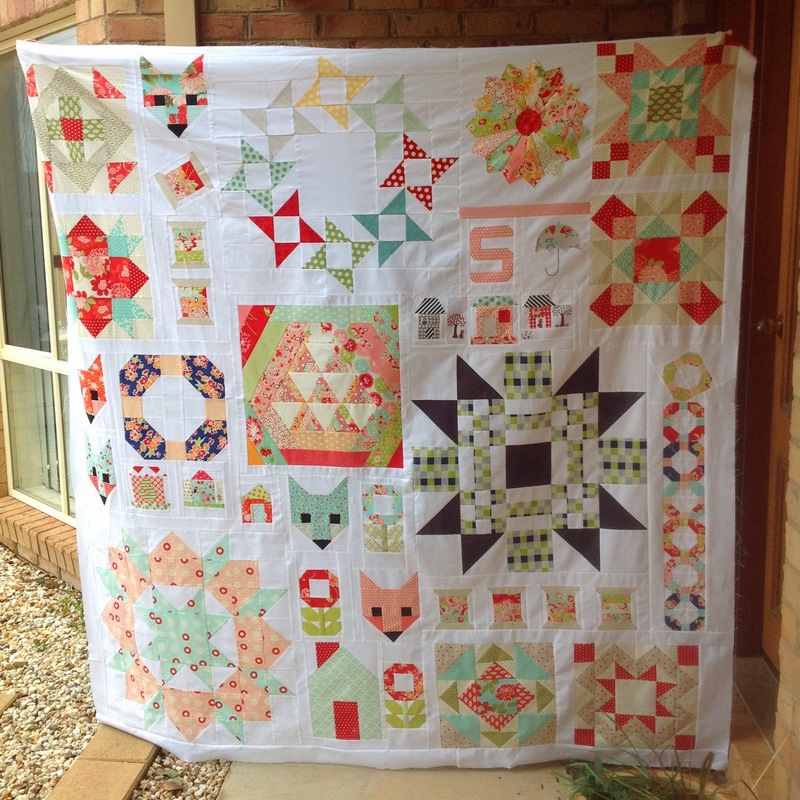 All those beautiful fabrics made into such lovely blocks (love the foxes!). I'm not a dance mum. I'm a football mum!